On May 11th we ran our Annual Pledge for Plunket - run by The Hits and NZME. 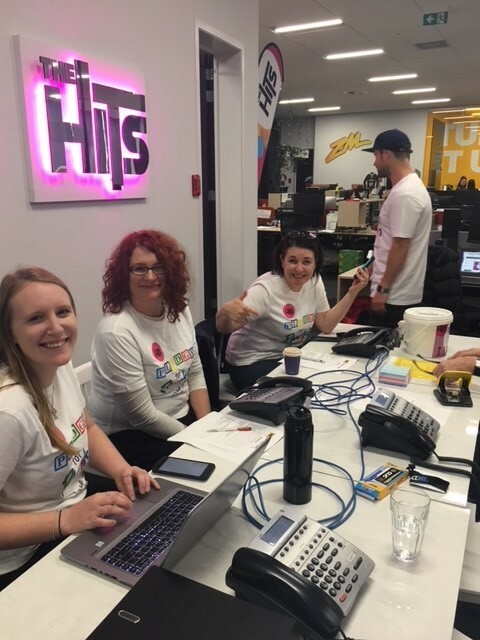 It was an awesome week leading up to the day with radio presenters and The Hits' teams all around the country running activation's such as movie nights, BBQ's, bucket shaking, and other awesome activities to raise money for Plunket! On Friday 11th was Pledge Day! The Hits radio presenters dedicated the whole day to pledging donations from the people of NZ all day. The presenters chatted a lot on-air about why Plunket is amazing organisation and why we need the help to Raise a Bundle, and make a difference of a lifetime! They interviewed a variety of business owners and Plunket supporter's throughout the day, we heard awesome stories about the value of people's Plunket nurses, and why they have valued Plunket. People talked about Plunket helping and supporting their families for generations - and will for generations to come! It was an incredibly humbling day for all Plunket staff and The Hits' teams. Flynny from the Stace and Flynny show ran 15km for Plunket, to pledge for $15,000! Sam and Lulu (the morning show) kayaked to Waiheke Island to pledge for $10,000! Adam from The Hits Hawkes Bay jumped into the Auckland Harbour on a freezing cold day to pledge $1,000! Liv from The Hits Southland wrote some awesome jingles for businesses who pledged over $1,000! The proceeds from Pledge for Plunket 2018 go towards funding Plunket's community services and helping to continue those services, free of charge for families and children under 5 in New Zealand. We had a chat with a Masterton business, Homegrown Farm Fresh Meats, who pledged $2,000 for Plunket on Friday 11th as part of the Radiothon. “For us it was supporting Plunket and giving our money…it was also a lot of fun! Between my partner and I, we had 5 children and all 5 went through Plunket. It was all about giving back. We heard throughout the day, a lot of industries supporting e.g. truckies, plumbers, electricians, even horse riders! For us it was coming in from the agri-sector and showing NZ what we can do. We wanted to get behind a business which resonates with us – we are encouraging families to eat different, and make healthier choices – we are very family focused at the moment, which resonated with Plunket – so seemed very fitting!” – Ali. 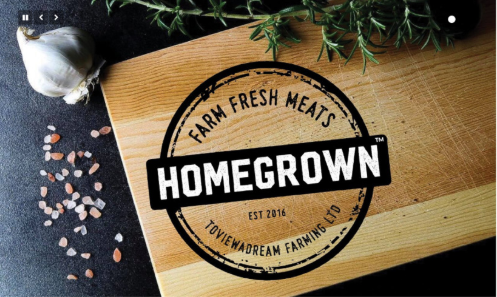 Homegrown Farm Fresh Meats is an award winning Sheep & Beef farm business in Masterton that has different farm locations from Belmont near Wellington to Dannevirke in the Tararua. Owners Dion & Ali run the Assure Quality credited farm operation and strive to be leaders in best practise with animal welfare and environmental sustainability. A huge thank you for your donation Homegrown Farm Fresh Meats!